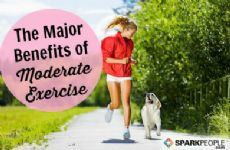 You know that exercise improves your health and helps with weight loss, but if you're an average Jane or Joe (aka not a certified fitness coach or trained exercise physiologist), your best intentions may not be enough. What exactly should you be doing anyway? 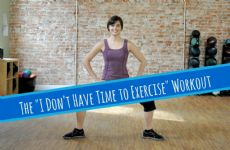 How do you know what exercises to do? How long should you exercise? How often? What types of exercises are best? Before you even set foot in a gym, you are feeling like a fish out of water. For many people, not knowing what to do is a big barrier to doing anything at all. You don't have to hire a trainer to think like one—or to get started with exercise or even create your own ideal workout plan. Here are a few tips to help you get started. First, I want to emphasize that doing anything at all—even if it's not ideal or perfect or the best possible form of exercise—trumps doing nothing. So while I will give you a few tips here to get started on the right track, don't get too bogged down in the details. If you are moving in any possible way and as often as you can, you are doing a good job. So when it comes to finessing your fitness plan, here's how much, how often, and WHAT you should be doing each week for optimal health and weight-loss results. 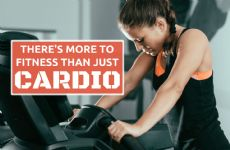 Cardio strengthens your heart and lungs, helps you maintain a healthy weight, lowers your risk of sickness and disease, and makes you feel good. 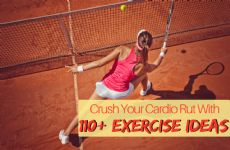 Cardio exercise includes any type of continuous movement that uses the body is a "rhythmic" way to elevate the heart rate for at least 10 continuous minutes. If you're ever unsure about what kinds of workouts count as cardio, here's a pretty exhaustive list. Pick a variety and choose activities that you enjoy. How hard to work: Each cardio workout should increase your heart rate to a "somewhat challenging" level for you. Monitoring your heart rate is a good way to measure exactly how hard you're working, but you can also use the "talk test" or the rate of perceived exertion (where you just estimate how hard you're working on a scale of 1-10). When you're new, aim for lower intensity cardio. But as you get fitter, try to increase the intensity every few weeks. How often: Aim for 3-6 cardio sessions each week, starting with the lower end of that range for beginners and gradually doing more over the course of several weeks or months as you get accustomed to it. I don't recommend daily cardio, so take at least one day off from training as you get more advanced. How long: Each cardio session should range from 10-60 total minutes, but be sure to start at a length you can handle and gradually progress. These sessions can be broken up into multiple, shorter sessions, too. A beginner should aim for 10-20 minutes per session, while the 30-45 minute range is intermediate and the 45+ minute range is for people who have been exercising for a while. Whether you call it resistance training, weight lifting, toning or body sculpting, we're all talking about strengthening your muscles by performing exercises against resistance. Strength training also strengthens your bones, tendons and ligaments, which improves your fitness, appearance and metabolism so that you can better maintain a healthy weight. Each strength training workout should include at least one exercise for each of your major muscle groups (think: arms, chest, back, core and legs). How hard to work: Aim for 1-3 sets of 8-15 repetitions (for example: 3 sets of 10 pushups) of each exercise. How many reps you do will probably be dictated by the amount of resistance you're using. Here's some guidance on selecting the proper weight for strength training. How often: Target every major muscle group at least 2 times per week, making sure to rest from resistance training for at least 1-2 days between strength-training sessions. You can do cardio on your "off" days from strength training if you'd like. What exercises should you do? You could follow a workout DVD or take a class at your fitness center for some varied workout ideas. For individual exercise ideas, check out SparkPeople's Exercise Demos. For comprehensive workout ideas for specific muscle groups or even your full body, watch our free fitness videos or find a plan in the Workout Generator. Stretching is another name for flexibility exercise, which can help lengthen your muscles and develop an appropriate range of motion for specific sports and daily activities. Flexibility exercises increase joint mobility, may help reduce injuries, improve coordination, and enhance your posture. People often think of stretching as non-essential or gloss over it, but it should demand attention and priority in any sound workout plan. What to do: You should stretch all of your major muscle groups (your arms, chest, back, core and legs) at least 3-7 times per week. The best and probably easiest way to do this is in conjunction with your workouts above; stretch after you do strength and cardio exercises. How much: Hold each stretch in a slow and controlled manner for 15-30 seconds. Don't bob or bounce. How far to stretch: On a scale of 1-10 where 10 is "ouch," stretch to a 5 or 7. Over time, you will become more flexible and should be able to stretch further while still maintaining a stretching intensity of 5-7 on that scale. But even if you swear you're not and will never be flexible, you should still stretch to the best of your ability on that scale—and never to the point of pain. Examples: Here's a huge library of stretches you can look at for ideas. Or check out this video of post-running stretches that really works great for just about any exerciser. 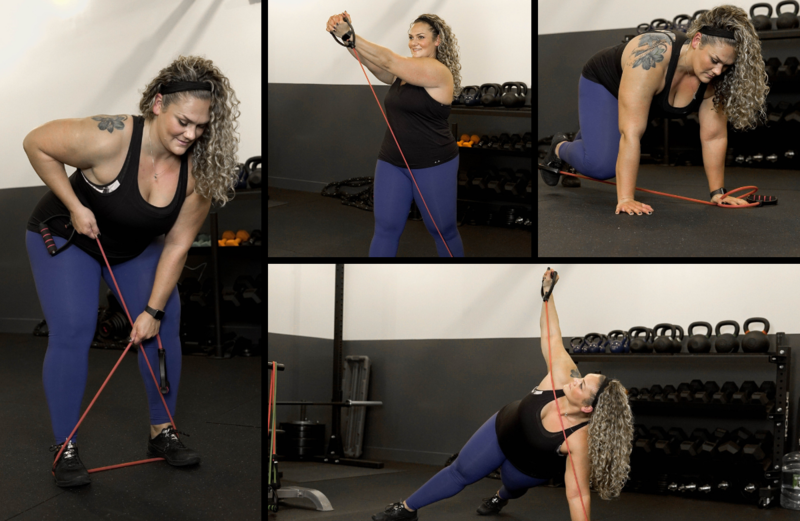 This is just the tip of the iceberg when it comes to creating a sound and effective workout plan, but hopefully it gives you some ideas to get started and progress on your fitness journey. What's your current workout plan like? Will you apply anything you learned here to enhance it? My workout plan in 2011 (with no gym membership) was daily walking - minimum of 1-1.5 miles (15-25 minutes) and up to 3+ miles or pushing speed 2-3 days of the week. I made sure I was getting my heart-rate up during most of those walks. I also did a few of the no equipment ST exercises from demos on SparkPeople, picking ones I could do in good form without joint pain. 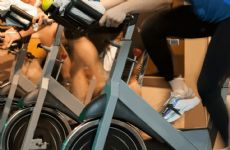 Now that I've joined a gym and run into a foot problem that curtailed my walking, I typically do recumbent bike or stationary bike, usually on their Fat Burn program, daily. I'm building up to their Cardio program, but right now it works my legs far more than my heart. Three days a week I do a strength training program using a whole series of weight machines, trying to make sure I'm doing all push-pull groups (biceps and triceps, abs and back, etc). On days I do ST, I do 30 min of cardio, then the machines, then 10-30 min cardio, crunches and obliques with a balance ball and stretching. 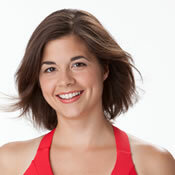 I try to make a Zumba class 5 nights a week, depending on my work schedule. 2 nights she incorporates toning, so I get both cardio and toning those nights. And every night ends with stretching. I guess I am a living example of sparkpeople Nicole. In the past few years I have slowly built up to exercise pretty much 6 days a week. 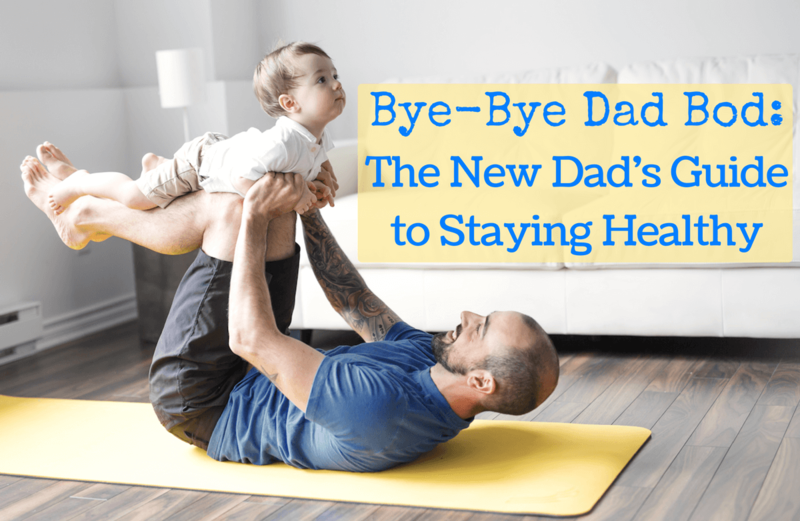 This is a good blog! I'm currently working my way back into exercise after doing some running and being knocked back by a Crohn's flare. I'm aiming for 30 minutes three times a week of cardio - starting with brisk walking, but progressing to a walk/run fairly soon I hope. I'm stretching out when I get back from that. And I've downloaded some apps on my phone which have different strength exercises - arms, legs, bums and abs. 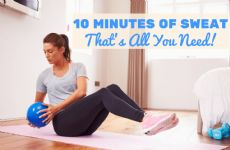 Each has 10 different exercises and can be set for 5, 7.5 and 10 minutes. So I'm trying to work the 5 minutes ones in to start with.